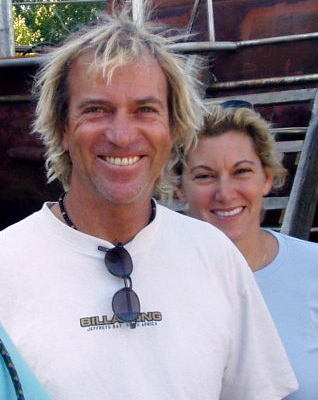 Luxury Surf was born from a dream of owner Greg Warnick, an avid surfer, snowboarder, and worldwide traveler. Greg began his surf travels when he was 18, and over the years he has lived and recreated in Canada, Australia, Hawaii, Barbados, and Europe. “Each time I left one of these very special places, it was with a sense of sadness and burning desire to return, especially if the surf was good,” Greg explains. So he wondered what it would be like to make these incredible surf spots easier and more relaxing to visit. He thought of offering luxury accommodations directly in front of a few of the best surf spots on the planet. Luxury Surf is the result of Greg’s personal quest to find ideal locations where his family could learn and play in different activities together. Along with his wife, Susan, and their two sons, he wanted to enrich their lives by immersing themselves in different cultures until they felt like they were part of the area’s unique rhythm. The Warnick family continues to cherish their time spent together surfing, practicing yoga, and SUPing; their travels have provided unforgettable memories, as well as the opportunity to make life-long friends around the world.